In this lesson, you'll discover that mastering the Spanish alphabet is as easy as A-B-C! You'll also learn simple tricks for pronouncing Spanish words, and you'll start building your vocabulary by learning to count from zero to nine. Today you'll learn the Spanish words for a rainbow of colors, and find out how to count all the way up to 199—all while learning fun facts about the culture of Latin America. Family is all-important in Latin culture, and in this lesson you'll find out how to say the names of all your student's relatives. Also, you'll start putting your words into conversational phrases and sentences. Today we'll explore pronouns, an important building block of your Spanish vocabulary. In addition, you'll learn how to talk about the months of the year and the days of the week. Super-charge your Spanish sentences with new power words! In this lesson, you'll learn prepositions, words for directions, and three new words for asking questions. If you think Spanish verbs are a big headache, you're in for a pleasant surprise today as we explore "easy" verb tenses. In addition, we'll delve into the difference between the "to be" verbs ser and estar. 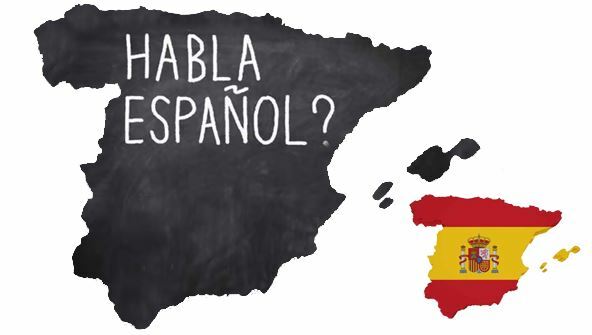 You'll add to your repertoire of Spanish survival phrases in this lesson and discover a simple way to ask key questions when enrolling new students. You'll also master an important new skill: telling time in Spanish. Today we're off to school, to learn the Spanish words for common classroom objects and activities. We'll also beef up your communication skills with a host of new adjectives that'll come in handy both in and out of the classroom. How are you feeling today? By the end of this lesson, you'll be able to answer that question in Spanish! You'll also know how to explain classroom rules, regulations, and instructions to students en español. Words for teaching, learning, and doing are at the top of our agenda today. In addition, we'll look at vocabulary builders you can use to explain concepts in English, math, science, and history. If you need to assist a student in the cafeteria or on the playground, you'll have lots of helpful words at your fingertips after this lesson. You'll also learn key vocabulary words for talking about those medical emergencies that sometimes happen on campus.